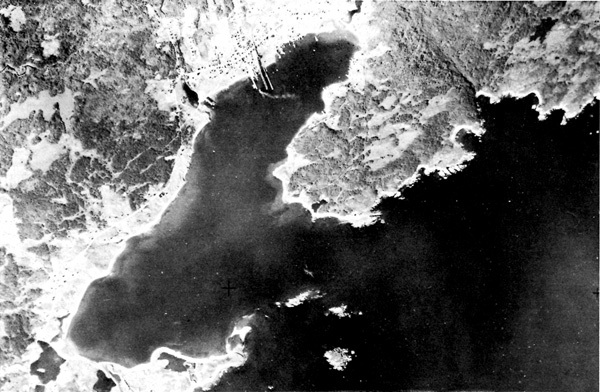 1 Louisbourg Harbour from the air, 1947. 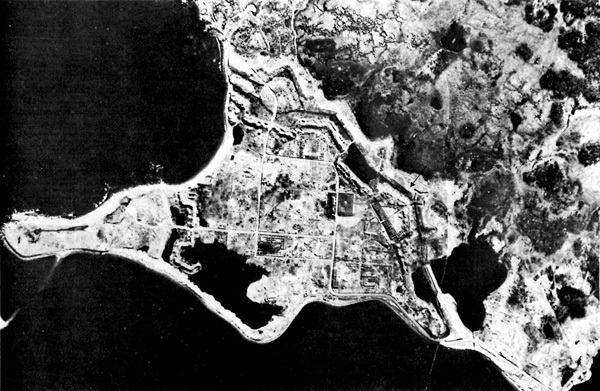 2 Louisbourg and the fortress from the air, 1961. 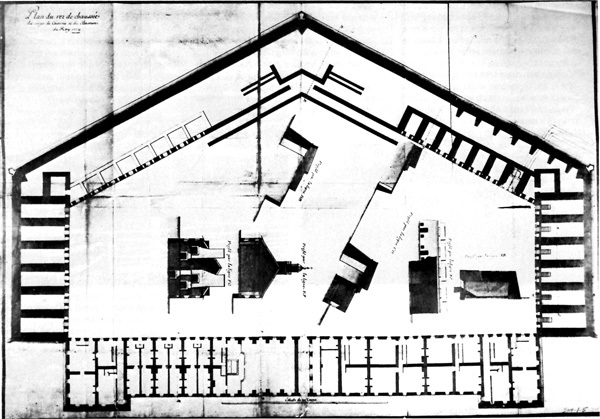 3 French plan of King's Bastion, 1724. 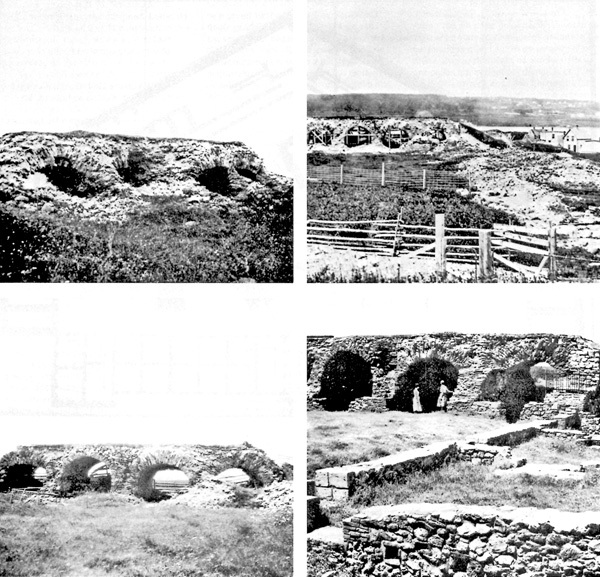 4 Four views of the right flank casemates. 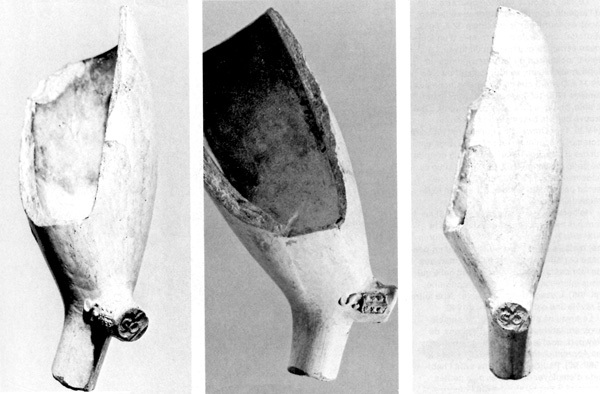 5 Three views of a Dutch pipe bowl with maker's mark S/V/O. 6 English bowl with unidentified design. 7 Two Dutch bowls with mermaid mark. 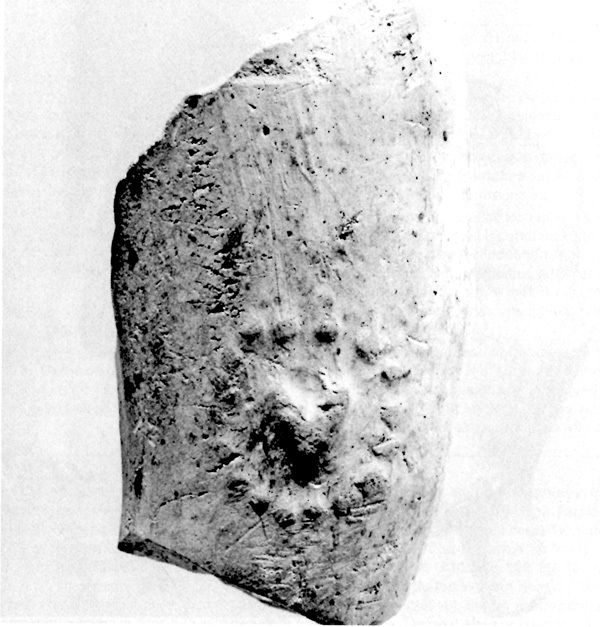 9 Stem fragment with maker's mark imitating that of John Stephens. 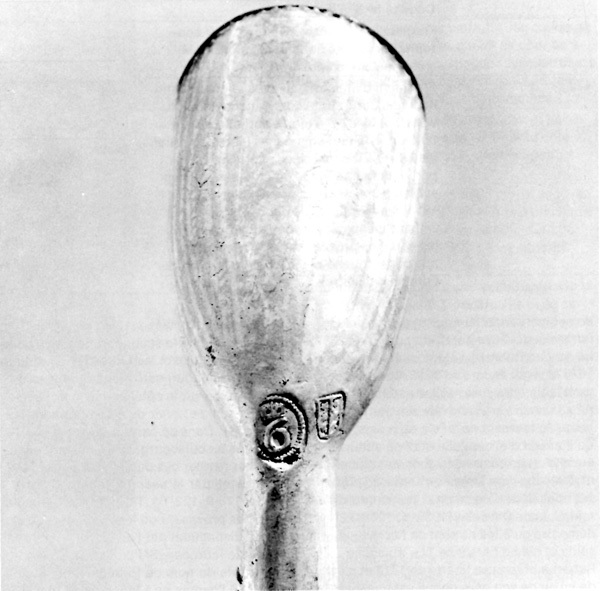 10 English bowl with heraldic mark. 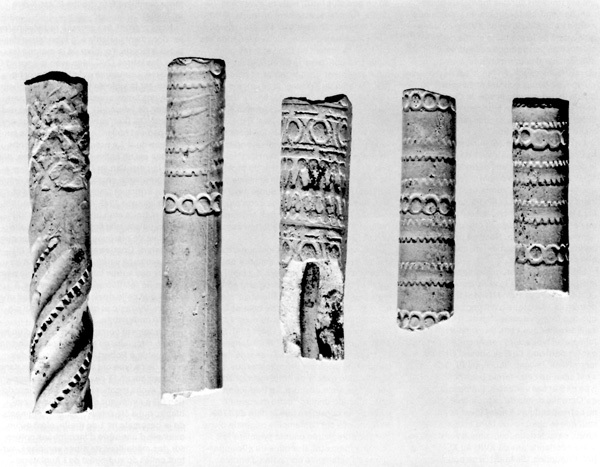 11 Two stem fragments decorated with foliage design. 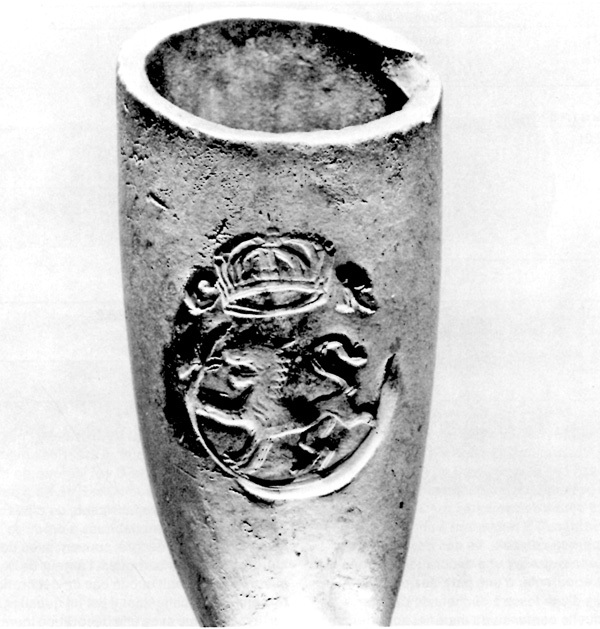 12 Dutch bowl with crowned 6 mark with single Gouda coat of arms. 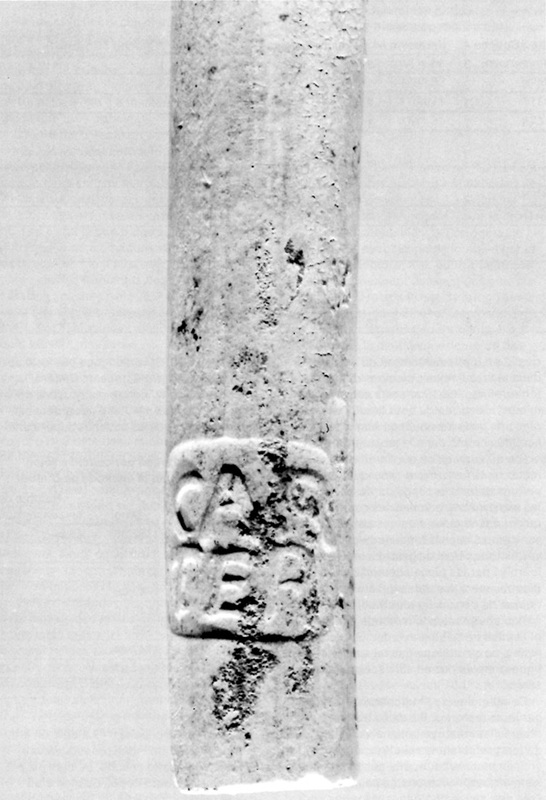 13 English pipe with letters EC and decorative motifs. 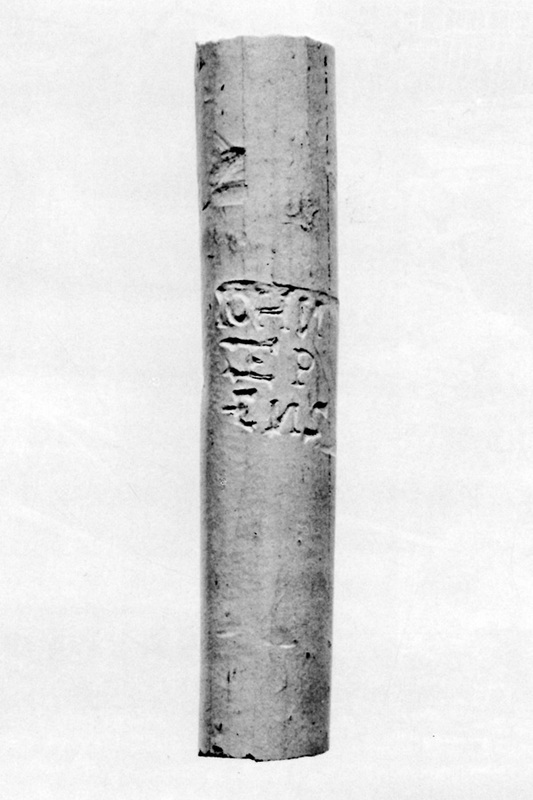 14 English pipe with impressed figure 8. 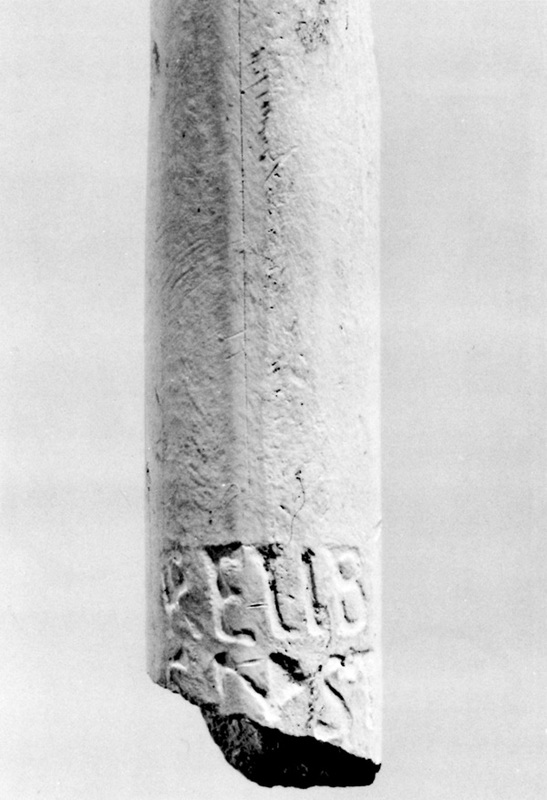 15 Stem fragment with JOHN STEPHENS mark. 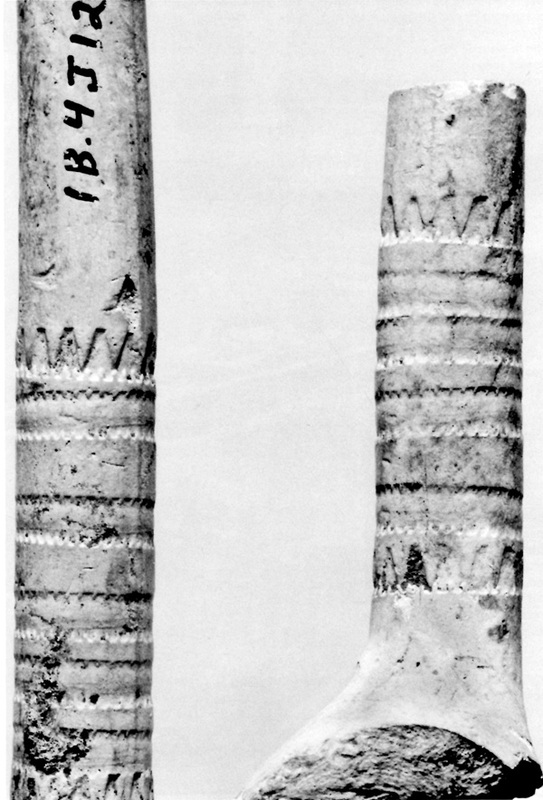 16 Two English TD pipes. 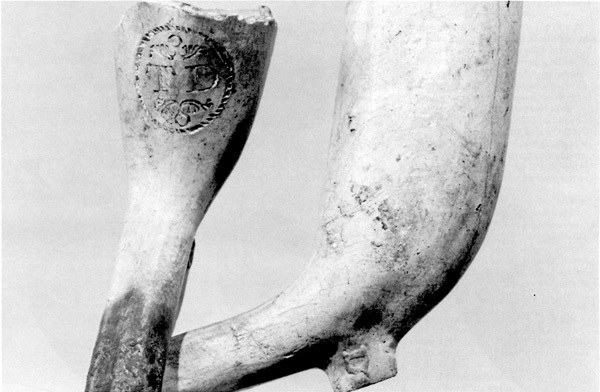 17 Two English TD pipes. 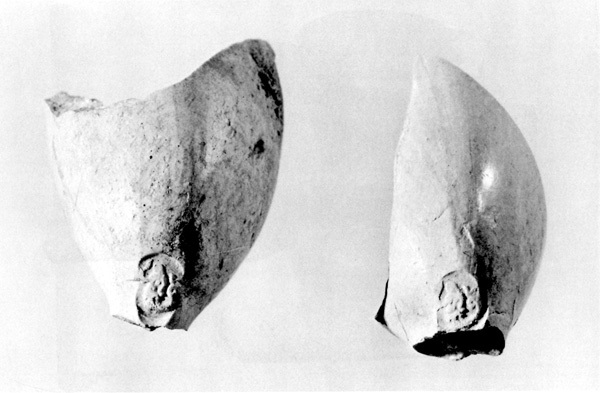 20 Stem fragment apparently marked JOHN ALLY. 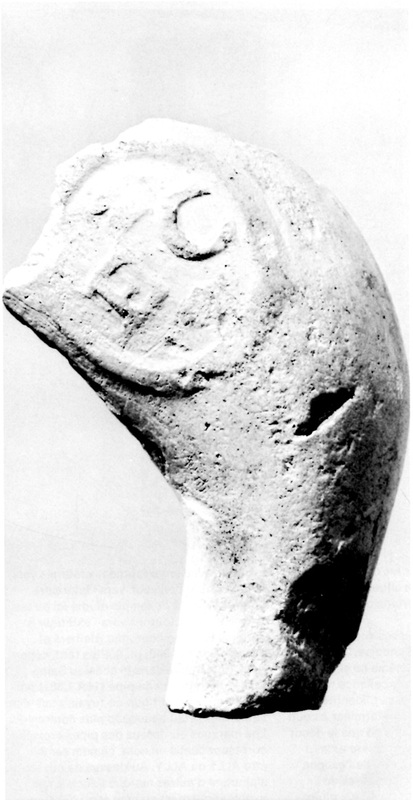 21 English bowl fragment with initials ER. 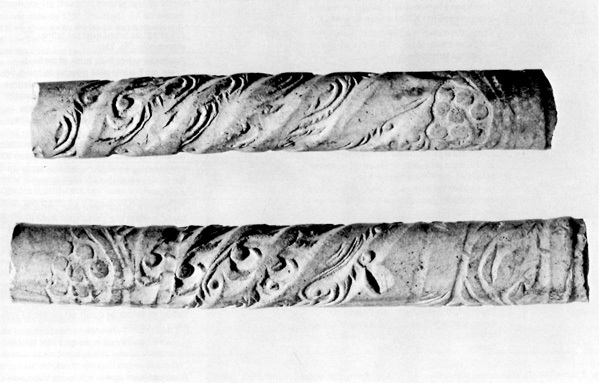 22 Decorated stem from a Dutch pipe. 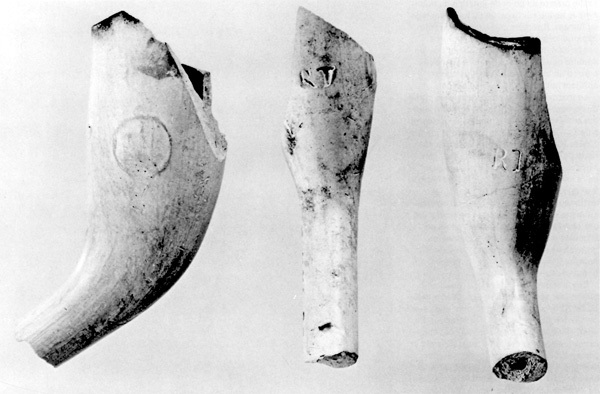 23 Dutch bowl with crowned 6 mark and no Gouda arms. 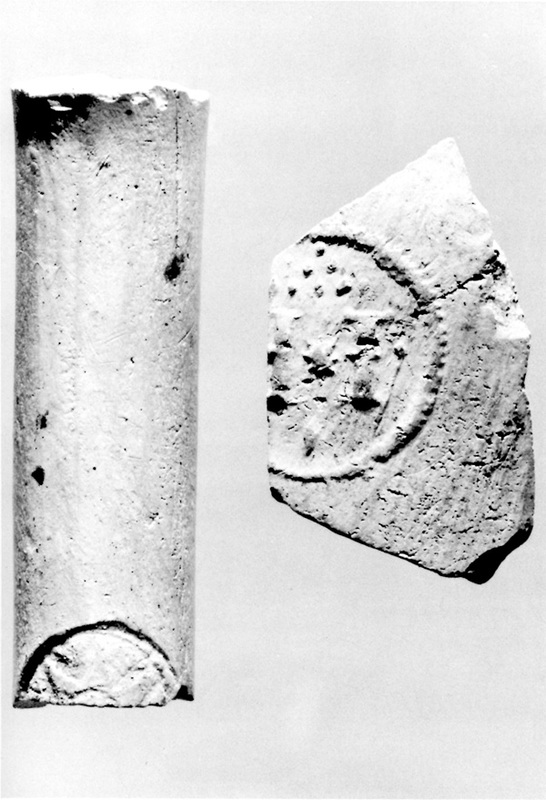 24 Stem fragment with rayed sun motif, and bowl fragment with letters HT in medallion. 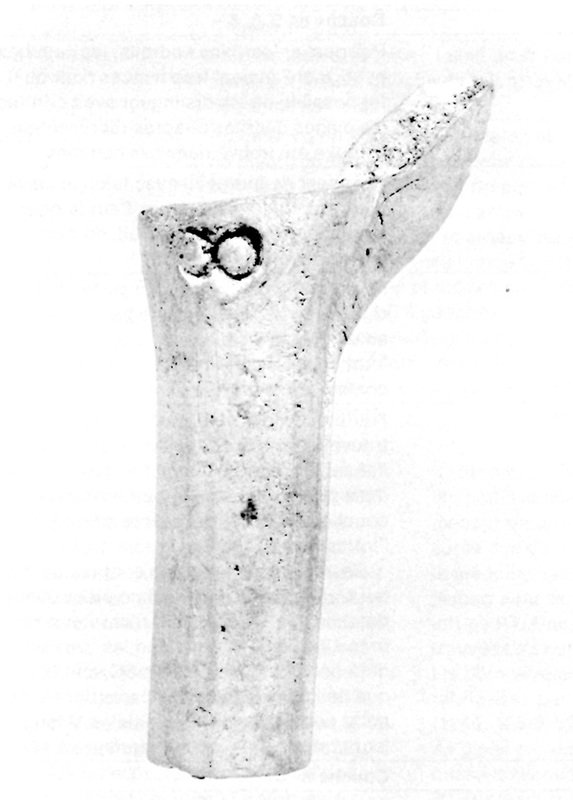 25 Stem fragment with REUBEN SIDNEY mark. 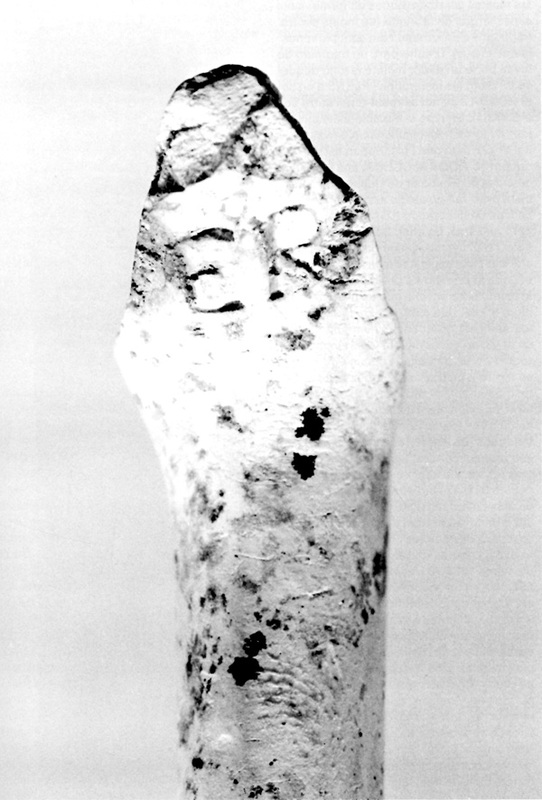 26 Stem fragment marked CARTER. 27 Three typical North American export-type English bowls and three typical Dutch bowls. 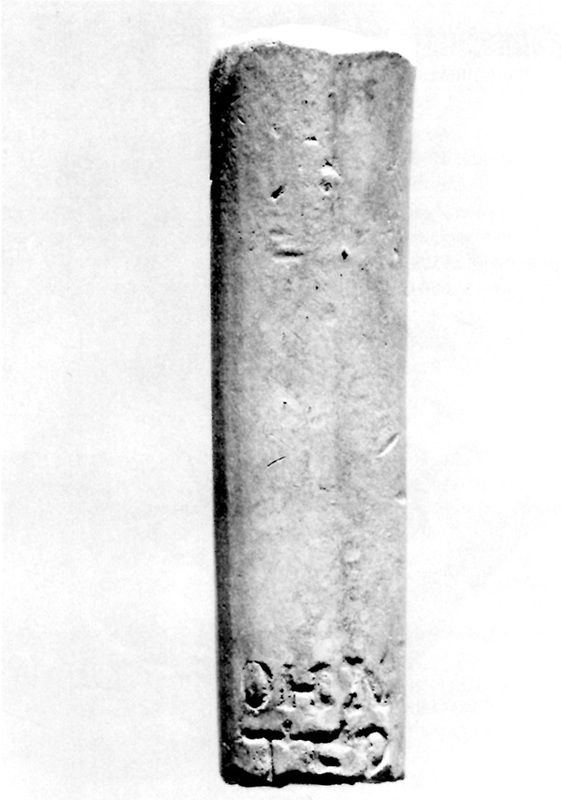 28 English type 9c example. 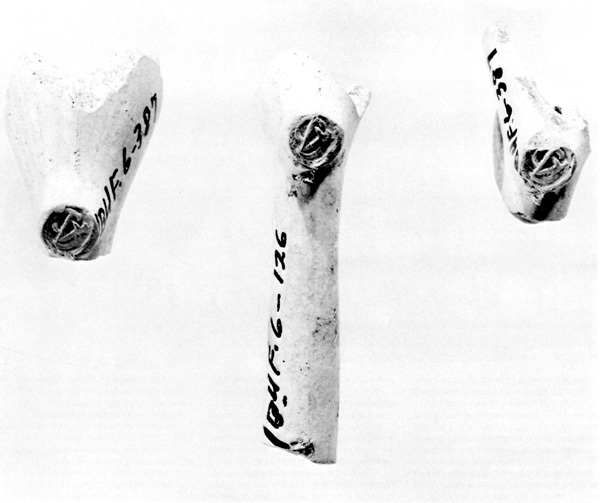 29 Decorated stem fragments, probably Dutch. 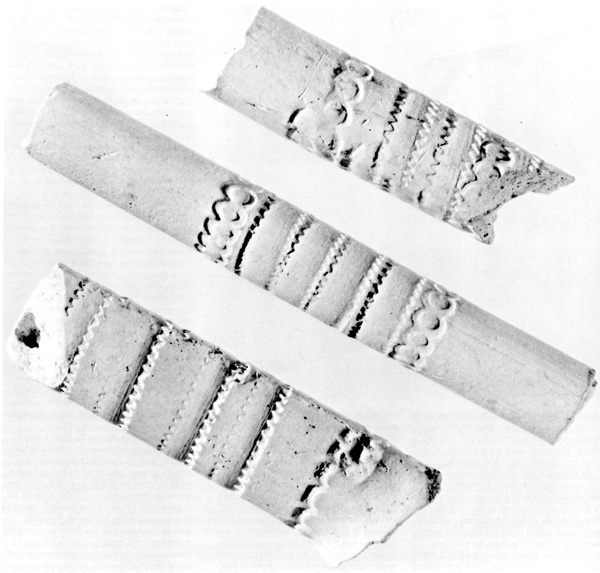 30 Decorated stem fragments, probably Dutch. 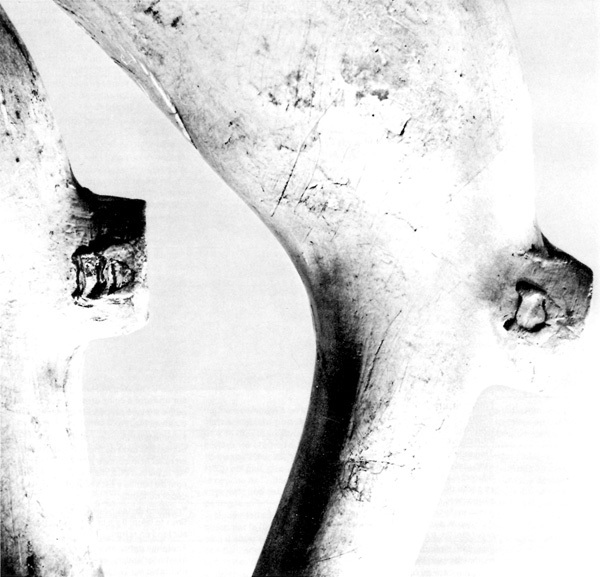 31 Longitudinal section of Casemate 1 Right. 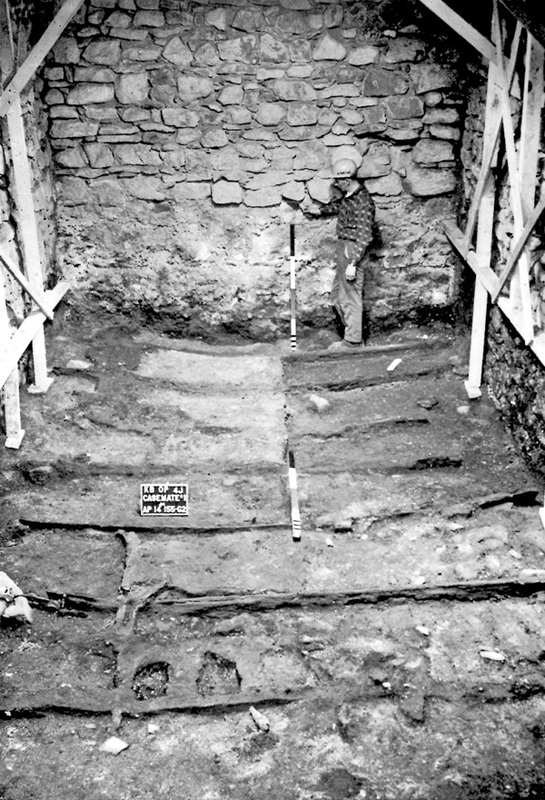 32 Recording in process during excavation. 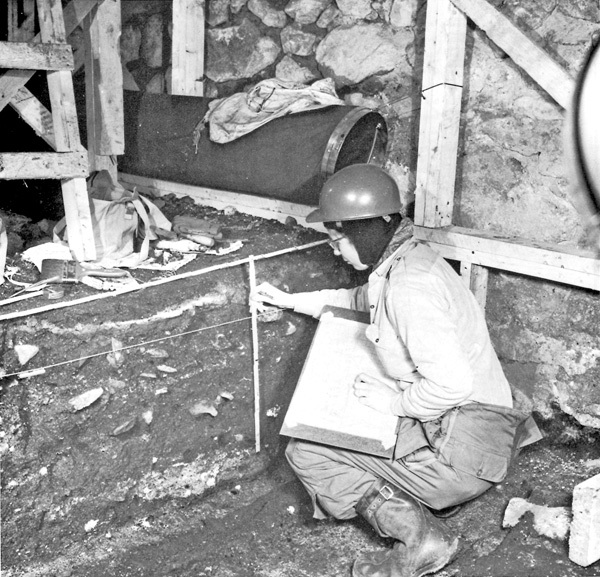 33 Three cross-sections of Casemate 1 Right. 34 Remains of wooden floor. 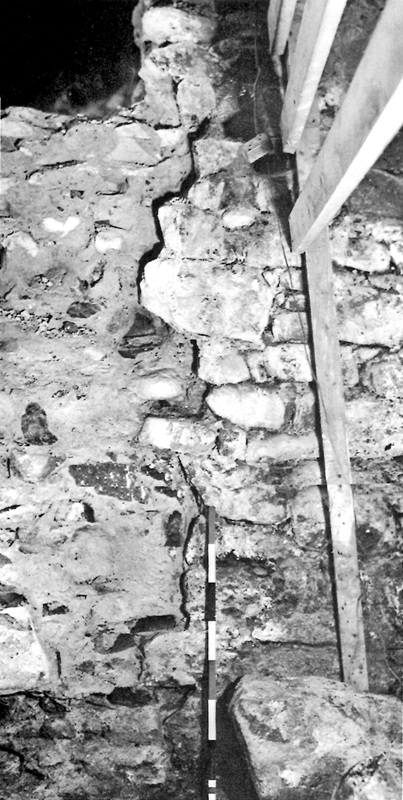 35 Junction of escarp and original side walls of casemate. 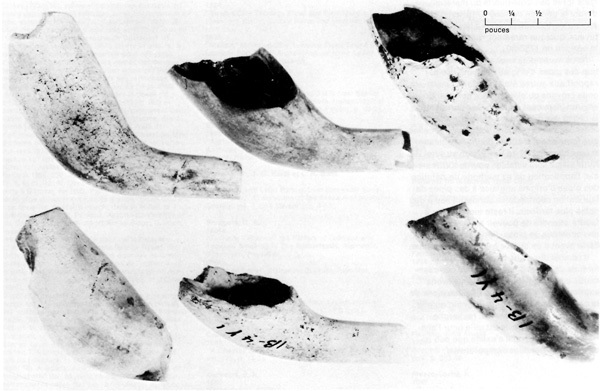 36 Stem fragments marked JOHN STEPHENS and REUBEN SIDNEY. 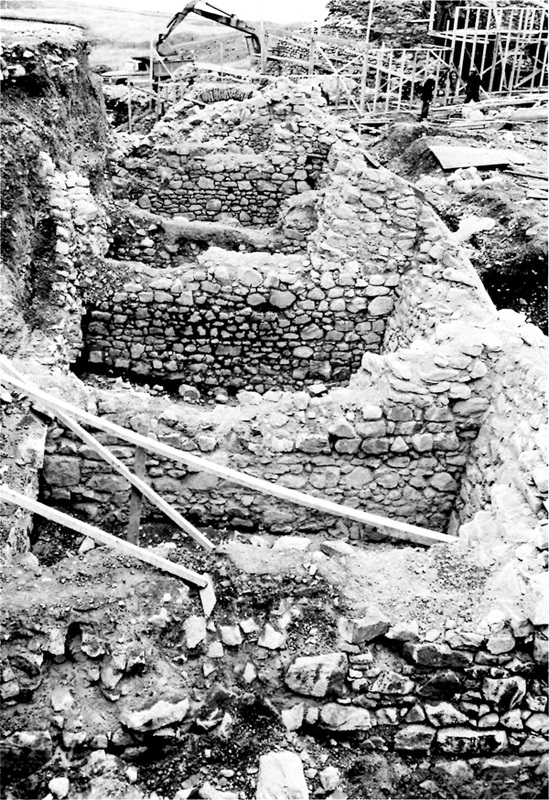 37 Remains of unfinished right face casemates after excavation of rampart. 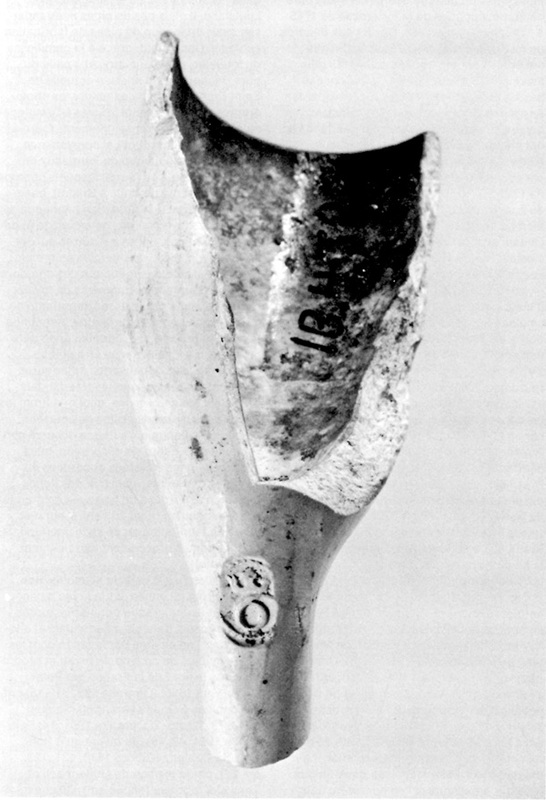 38 Dutch stem and heel fragment. 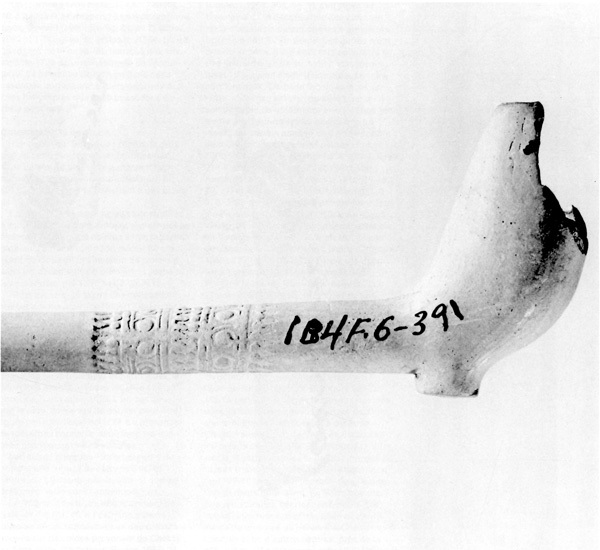 39 English stem fragment marked JOHN STEPHENS. 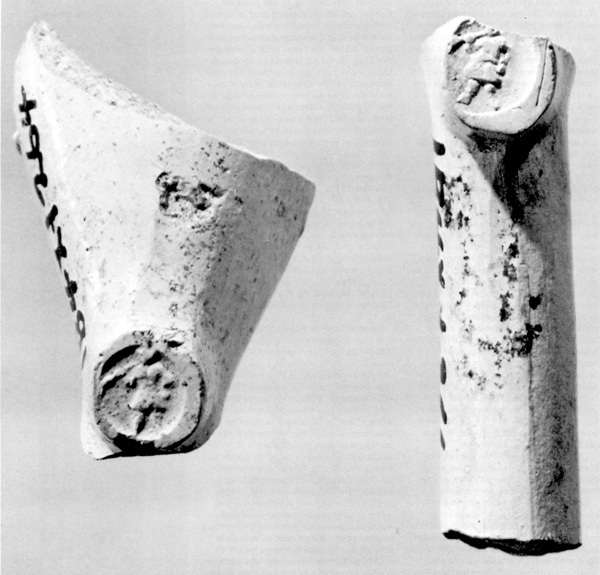 40 Various decorated stem fragments. 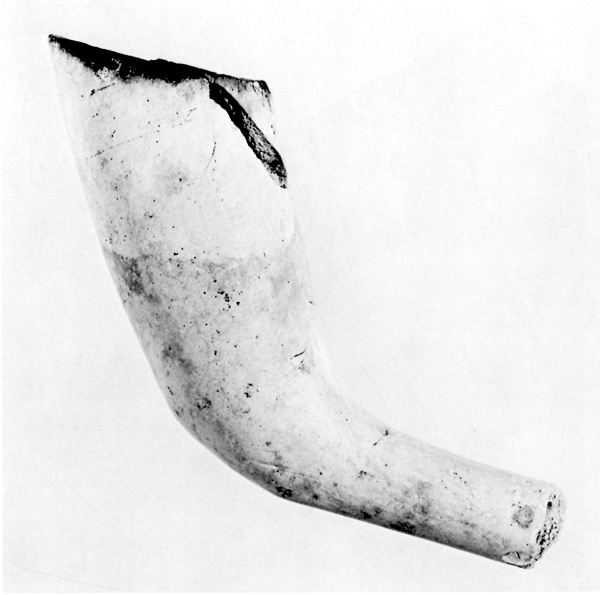 41 Two Dutch pipe fragments, maker's mark The Trumpeter. 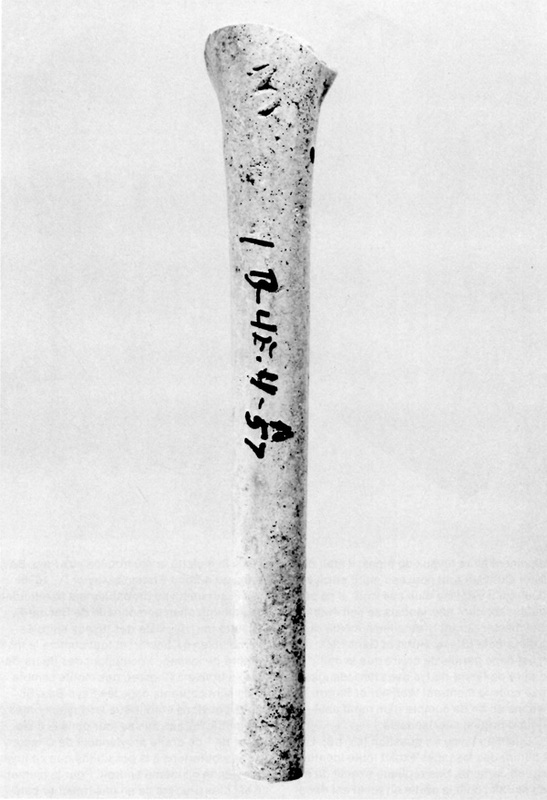 42 English stem fragment marked JOHN STEPHENS. 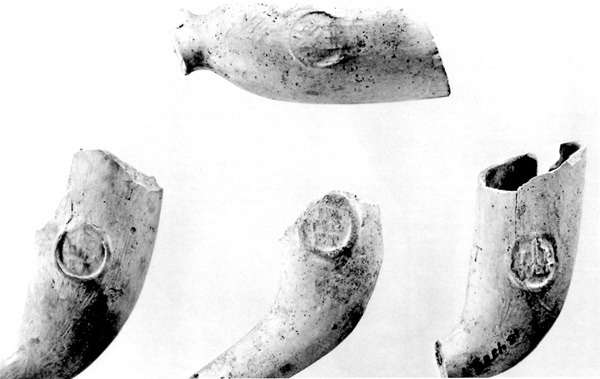 43 Three Dutch pipe fragments with unidentified mark. 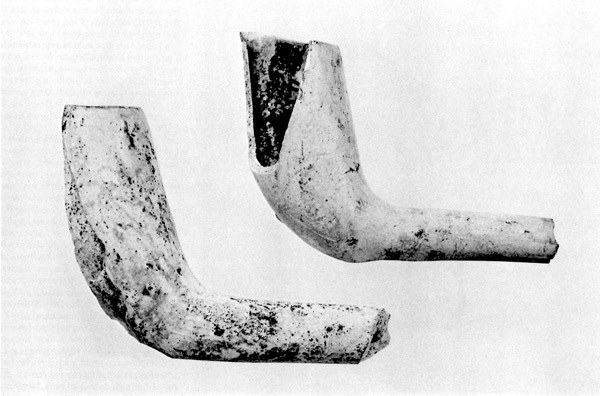 44 Dutch pipe with same markings as Figure 38 and unusual bowl shape. 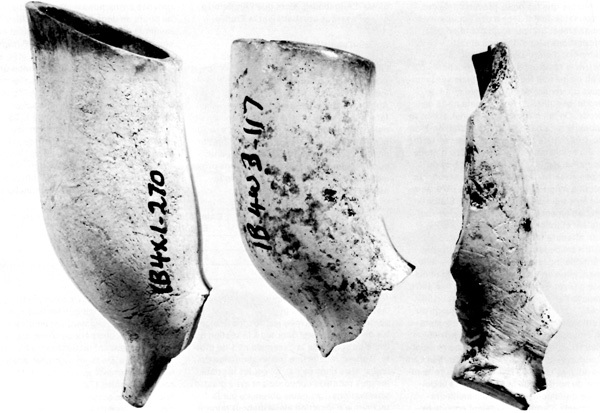 45 Three ROBERT TIPPET pipe fragments. 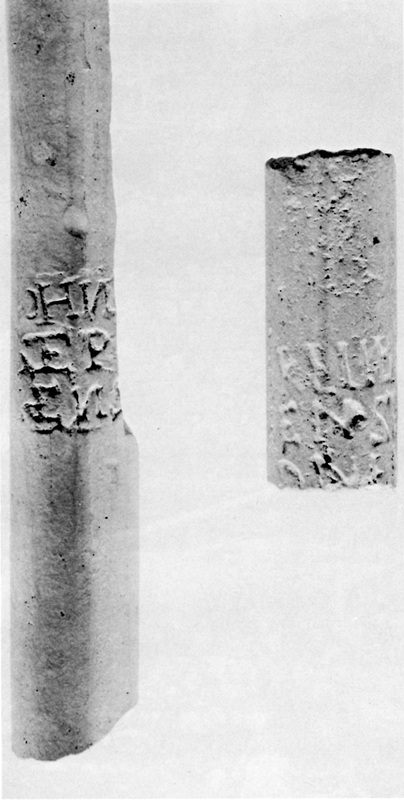 46 English pipe fragments, number 3 incised on base. 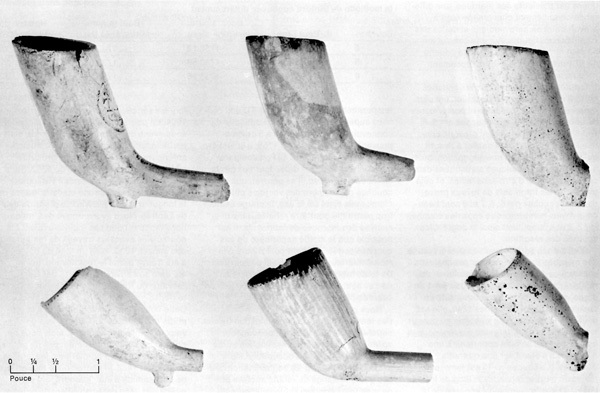 47 Three English pipe bowls. 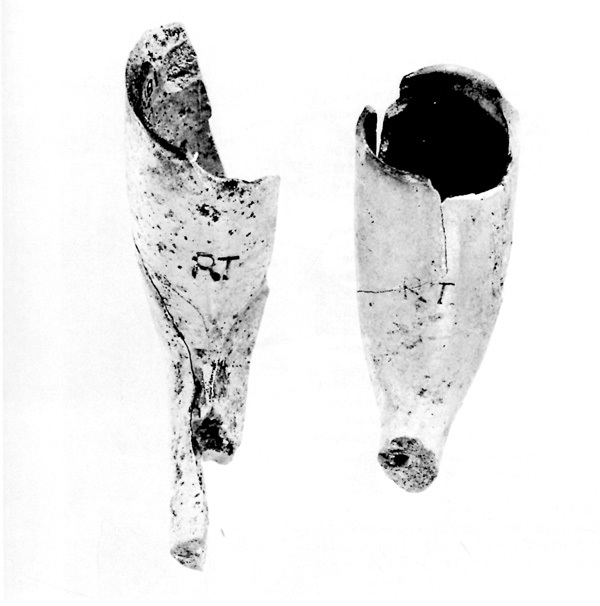 48 Six English pipe bowls.